Shopping is a dreaded task across the world. No matter how much we try to avoid spending our time and money at the local grocery store, we find ourselves spending money on food week after week. 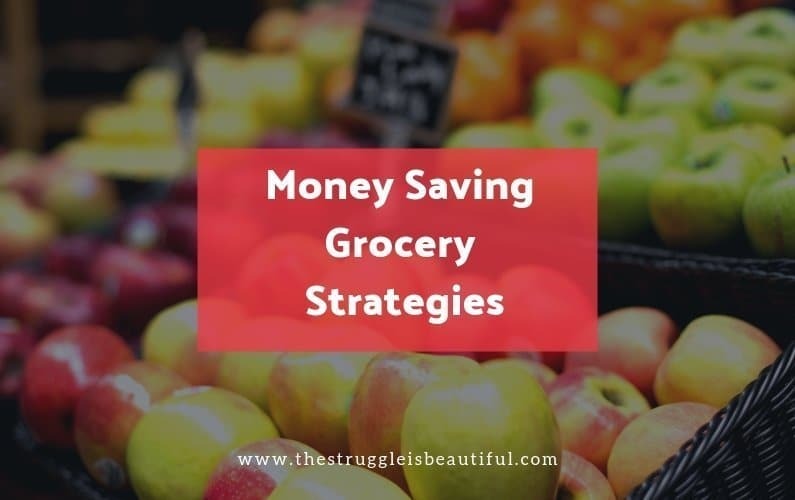 We just can’t avoid it, but with these Money Saving Grocery Strategies, we can avoid spending too much time or money at the store. 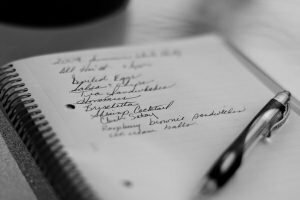 Have you ever been to the grocery store for 4 items and forgotten your list? Surely you can remember 4 items, right? By the time you get home, you have spent $76, but forgotten 2 of the 4 items you went for. I have done that too many times! Now, I never go to the store without a list. Next, you have to Meal Plan when you make out that list! This ensures that you come home with actual meals instead of a hodgepodge of things that you were hungry for at the time. When you meal plan in advance, you can also take advantage of the sales in your stores weekly ad, and save even more. Have you ever noticed how the smell of the bakery seems to meet you at the door of the grocery store? The delicious smell draws you in and you begin looking at all their beautiful, tempting treats. Before you even realize that you have been played, you place a chocolate cake in your buggy that will blow your diet and your budget. They design the grocery stores with this in mind. Think about it. Isn’t the bakery always near the front of the store? Here is the number one fact that busts most diets and grocery budgets: Grocery stores want you to buy more stuff and spend more money. This is a great strategy for avoiding those impulse purchases and helping you stick to YOUR LIST. I am in love with Walmart grocery pick up. I usually put in my put in my order on Sunday night and pick up my order first thing Monday morning. By 9 am on Monday, I had all my shopping and meal planning done for the week. It is fabulous. Use this link, to get $10 off of your first Walmart Grocery pickup order. Many grocery stores do free grocery pick-up. I know that in my small town both Walmart and Kroger do. It is a great way to simplify your life, and save time. Some stores even do grocery delivery. The app does suggest extra items, and it does try to get you to spend more money. However, it’s much easier to turn down those expensive snacks when they are not right in front of you. You just have to click right on past. When I was little, I remember going down every single aisle of the grocery store and aggravating my mother for every single snack I saw. I also remember her having a cart that towered over, and a HUGE grocery bill. There is a simple solution to this problem. Don’t go down the extra lanes (especially if your kids are with you). If you are on a diet, there is no reason for you to go down the chip aisle. If you don’t need baking supplies, don’t go down the baking aisle. Do not do that to yourself. You will likely pick up extra items. Also, avoiding aisles will decrease the amount of time you’re in the grocery store. That leaves more time to do the things you actually like to do. At first, it may seem that processed “boxed” foods are the cheapest way to go, but most of them contain fillers and are over-priced. It is usually much cheaper to make the items from scratch, and much healthier. Some recipes might take a few extra seconds to mix, but usually, are much more affordable to make out of ingredients I already keep. For example, instead of brownie biscuit mix or snack brownies, I make an Effortless Brownie Recipe that uses ingredients I already always keep in my pantry. So, they’re super healthy, save money, and room in my pantry. 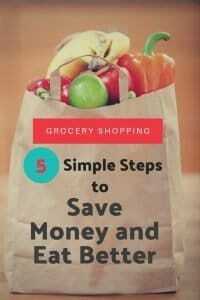 These simple strategies can drastically lower your grocery bill. Put them into play next time you’re at the grocery store, and you’ll find yourself saving money and eating healthier. 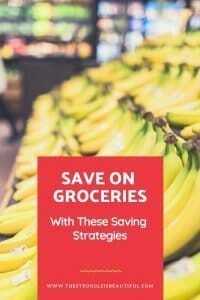 What are some strategies you use to help save money and eat healthier? I’d love to hear your ideas. Comment below to share your tips.